Alicia Garcia has nearly two decades of professional experience in early childhood education. As the associate director of Camino Nuevo Charter Academy’s Early Childhood Center, she is responsible for program design, operation and management, as well as staff oversight. During her tenure, the center has successfully maintained a 5-star quality rating and won the National Association for the Education of Young Children Accreditation. Ms. Garcia is committed to ensuring that every child at the center receives high quality preschool services in an inviting, nurturing, and developmentally appropriate environment. Her areas of expertise include parent engagement and play-based learning. She joined Camino Nuevo in 2005 as its founding preschool teacher when the early childhood program originally launched at a former site. Previously, she was a classroom preschool teacher and administrator at the University of Southern California Early Childhood Education Center. Ms. Garcia holds a bachelor’s degree in Child Development from Mount St. Mary's College. Karina Rodriguez has 17 years of professional experience in the field of early childhood education in both teaching and administration. 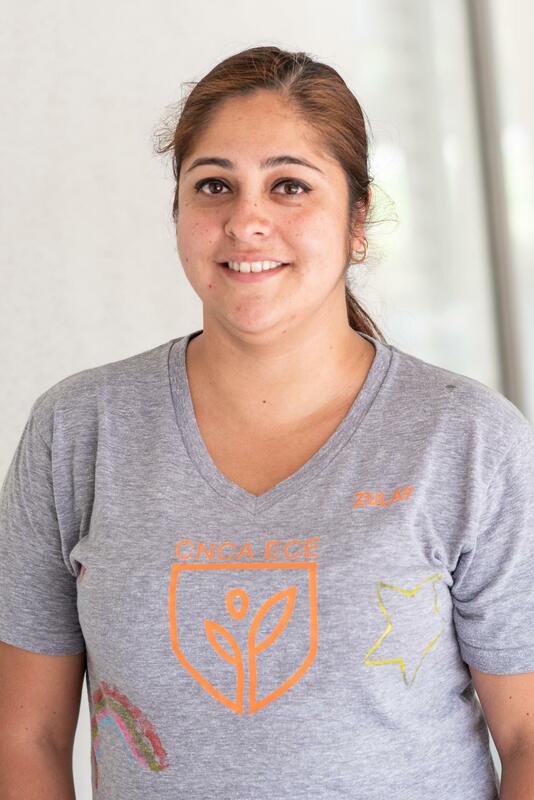 As a lead teacher and part of the leadership team at the Early Childhood Education Center at Camino Nuevo Charter Academy, she is responsible for creating a welcoming and nurturing environment where all children and families can learn and thrive. As the second in charge at the center, she works closely with Alicia Garcia, the associate director, to ensure the program maintains its 5-star accreditation rating. In 2016, Los Angeles Universal Preschool named Ms. Rodriguez Teacher of the Year for District 1. She was recognized for her creativity and hard work in the classroom and for going above and beyond to support the families she serves by enrolling them in healthcare and empowering them to be advocates for their children. She works closely with English language learners, supporting their development through instruction in English and Spanish. Ms. Rodriguez joined Camino Nuevo as a founding teacher at the center in 2007. Previously, she was a master teacher and administrator at the USC Early Childhood Center for six years. She holds a bachelor’s degree in child development from the University of La Verne and a supervisor’s permit from the California Commission on Teacher Credentialing. As the office manager for the Early Childhood Education Center (ECEC), Zulay Ruiz is often the first person to welcome students and families to the preschool. She is responsible for a variety of administrative duties, including calculating payroll, processing invoices and meal applications, enrolling new families, and helping parents become school volunteers and field trip chaperones. Additionally, she supports in maintaining a positive school culture by organizing special events for students, parents, and staff such as celebrations and parent workshops. 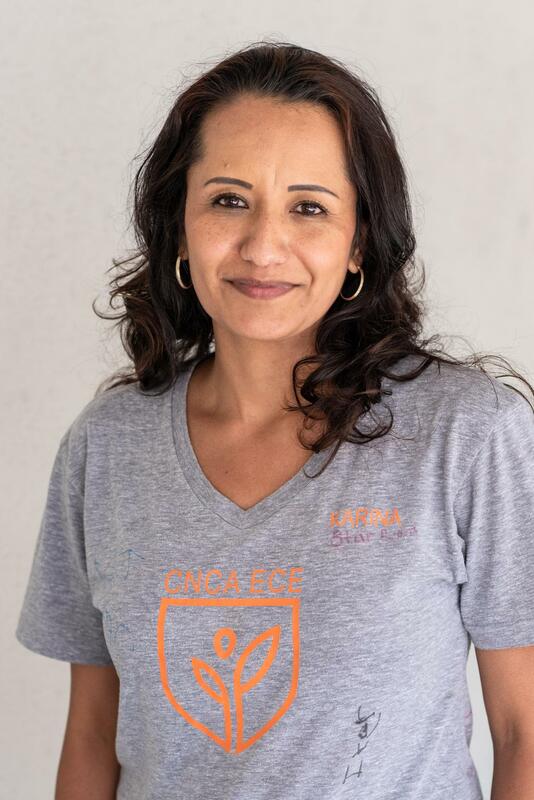 A longtime resident of the MacArthur Park community, Ms. Ruiz is passionate about helping families in the area find access to a high-quality preschool education. She has three children herself; her two oldest ones graduated from the ECEC and now attend the Camino Nuevo Kayne Siart Campus. Ms. Ruiz is the first in her family to earn a college degree. She has a criminal justice administration degree from Westwood College and plans to pursue a master’s in psychology. She enjoys traveling, trips to the beach and Disneyland and one day hopes to go skydiving.